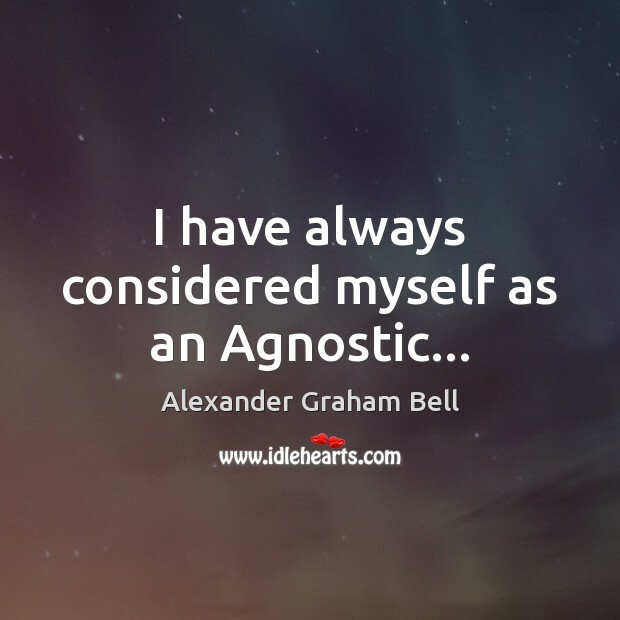 Quotations about Agnostic. Quotes to stimulate mind and drive action! Use the words and quote images to feed your brain inspiring things daily! When I approached God at that time, I hardly had a living faith in Him. 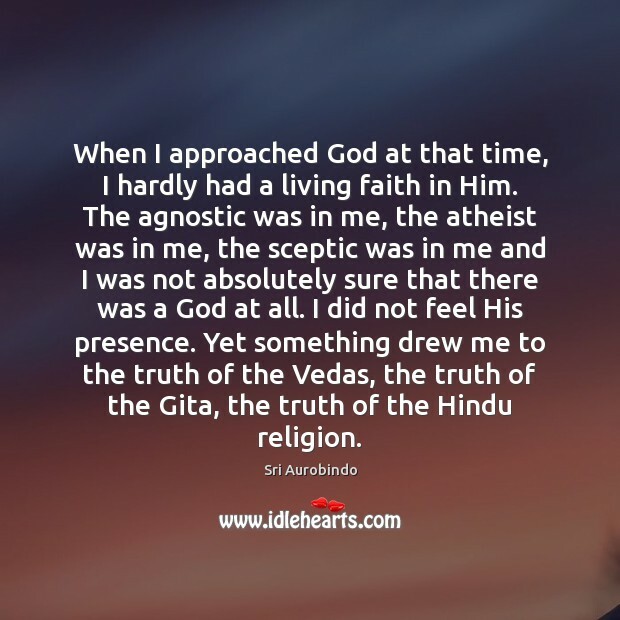 The agnostic was in me, the atheist was in me, the sceptic was in me and I was not absolutely sure that there was a God at all. I did not feel His presence. Yet something drew me to the truth of the Vedas, the truth of the Gita, the truth of the Hindu religion. We have a choice. We have two options as human beings. 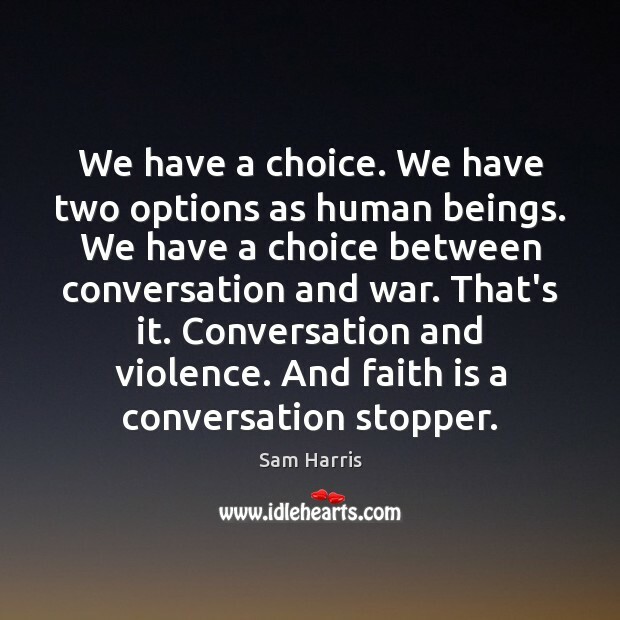 We have a choice between conversation and war. That's it. Conversation and violence. And faith is a conversation stopper. 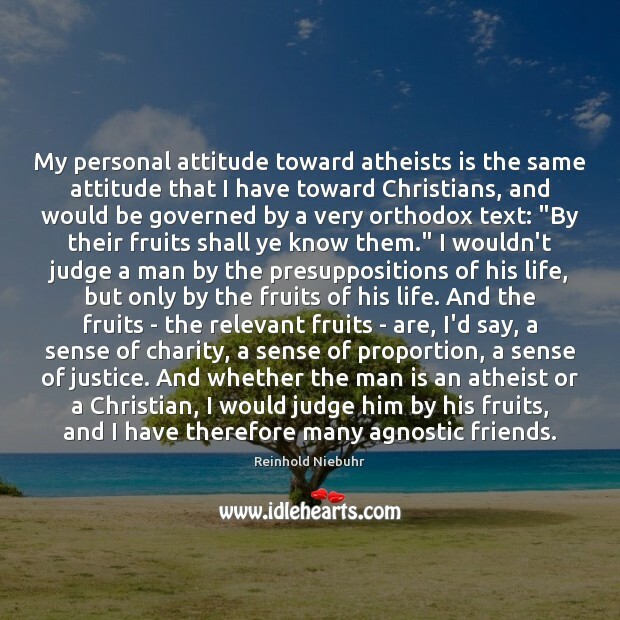 My personal attitude toward atheists is the same attitude that I have toward Christians, and would be governed by a very orthodox text: "By their fruits shall ye know them." I wouldn't judge a man by the presuppositions of his life, but only by the fruits of his life. And the fruits - the relevant fruits - are, I'd say, a sense of charity, a sense of proportion, a sense of justice. And whether the man is an atheist or a Christian, I would judge him by his fruits, and I have therefore many agnostic friends. 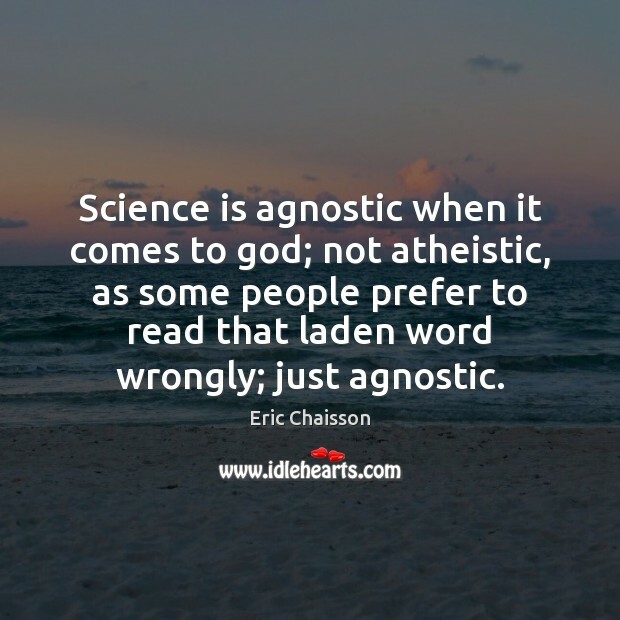 Science is agnostic when it comes to god; not atheistic, as some people prefer to read that laden word wrongly; just agnostic. 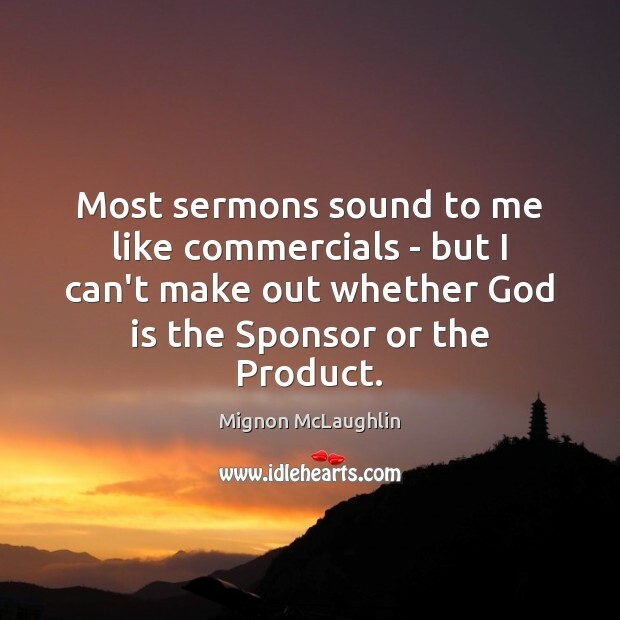 Most sermons sound to me like commercials - but I can't make out whether God is the Sponsor or the Product. 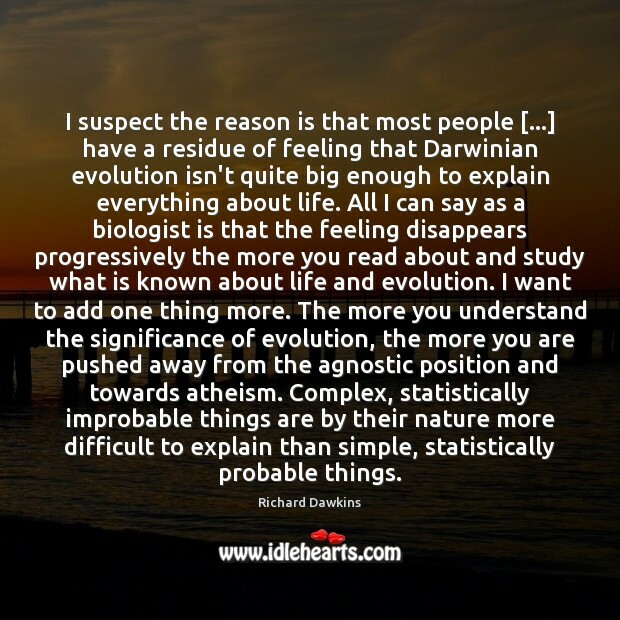 I suspect the reason is that most people [...] have a residue of feeling that Darwinian evolution isn't quite big enough to explain everything about life. 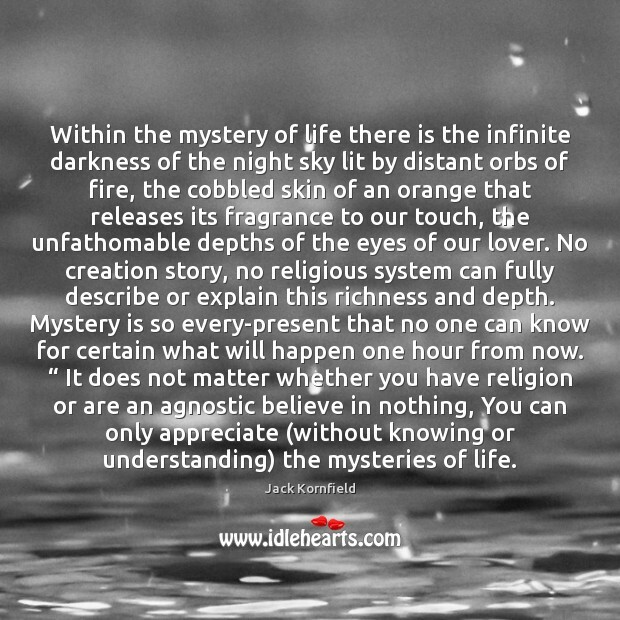 All I can say as a biologist is that the feeling disappears progressively the more you read about and study what is known about life and evolution. I want to add one thing more. The more you understand the significance of evolution, the more you are pushed away from the agnostic position and towards atheism. 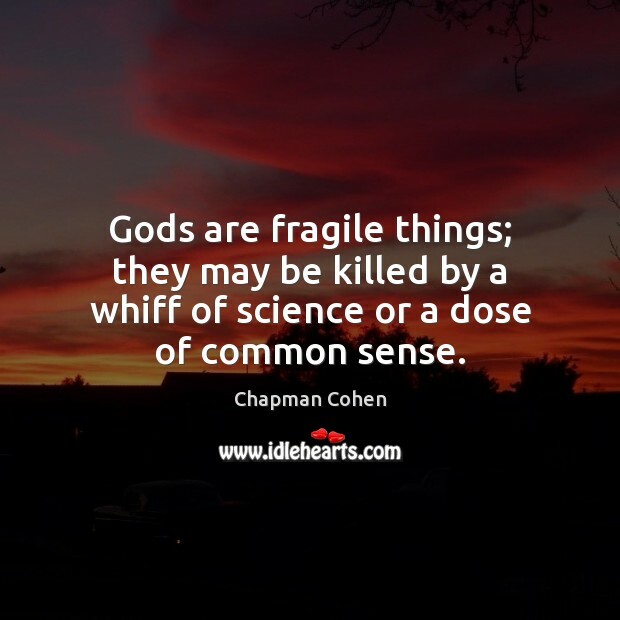 Complex, statistically improbable things are by their nature more difficult to explain than simple, statistically probable things. 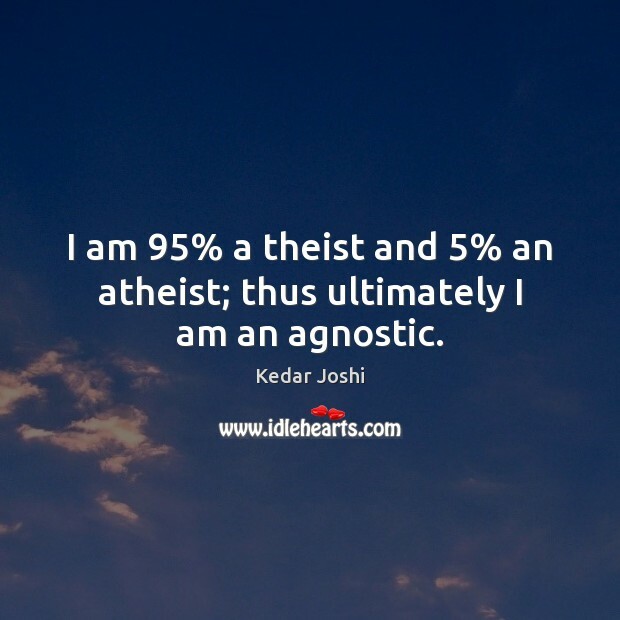 I am 95% a theist and 5% an atheist; thus ultimately I am an agnostic. 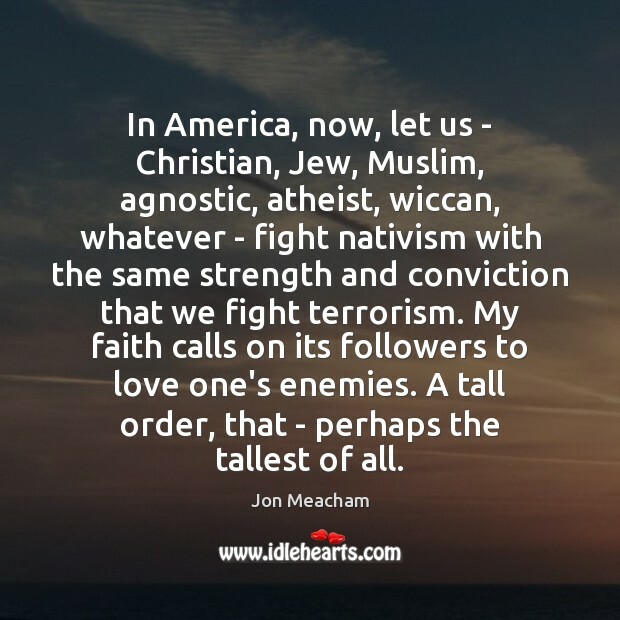 I am an atheist, out and out. It took me a long time to say it. 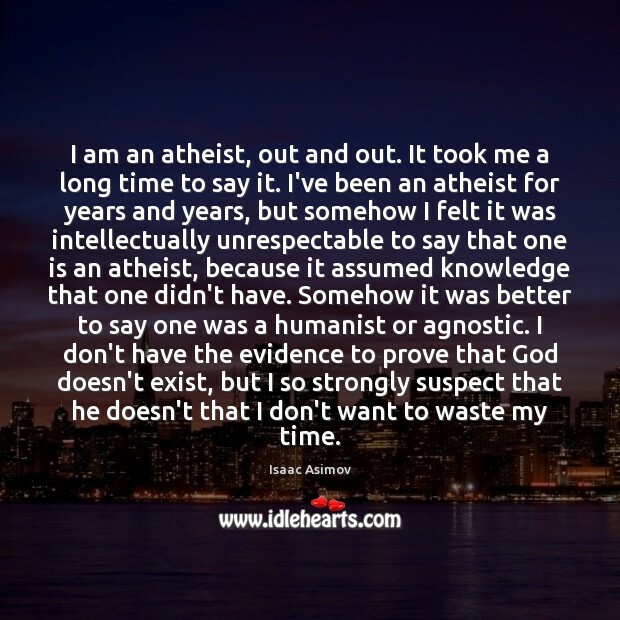 I've been an atheist for years and years, but somehow I felt it was intellectually unrespectable to say that one is an atheist, because it assumed knowledge that one didn't have. 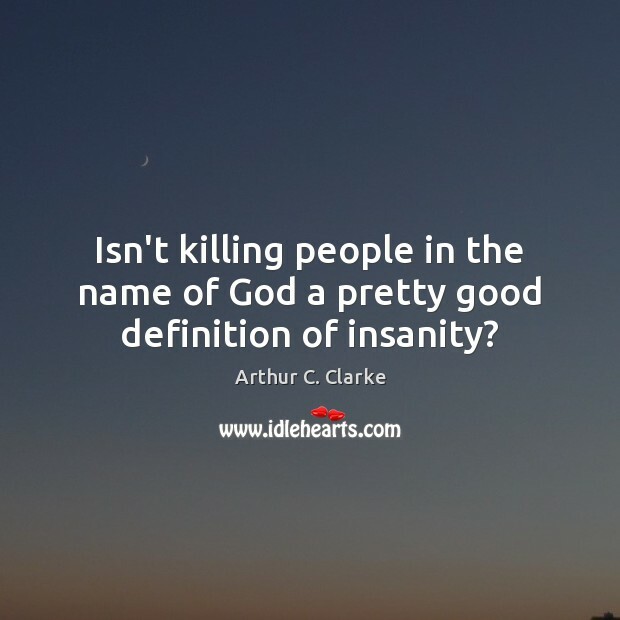 Somehow it was better to say one was a humanist or agnostic. I don't have the evidence to prove that God doesn't exist, but I so strongly suspect that he doesn't that I don't want to waste my time. 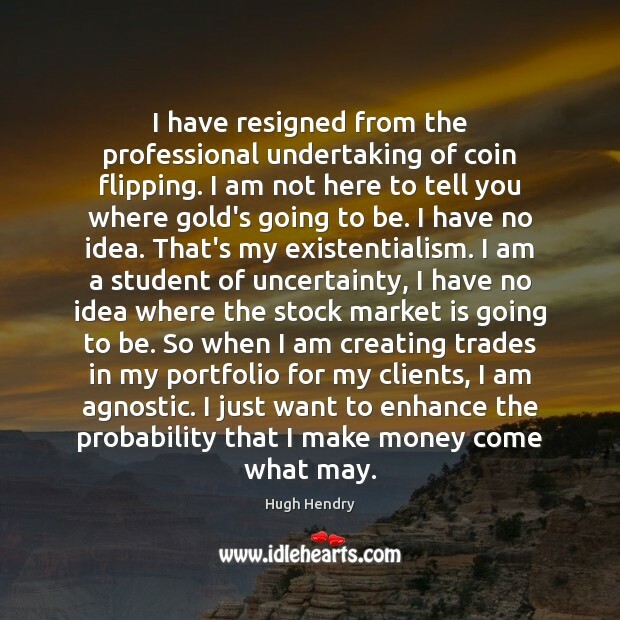 I have resigned from the professional undertaking of coin flipping. I am not here to tell you where gold's going to be. I have no idea. That's my existentialism. I am a student of uncertainty, I have no idea where the stock market is going to be. So when I am creating trades in my portfolio for my clients, I am agnostic. I just want to enhance the probability that I make money come what may. If it is to be established that there is a God, then we have to have good grounds for believing that this is indeed so. 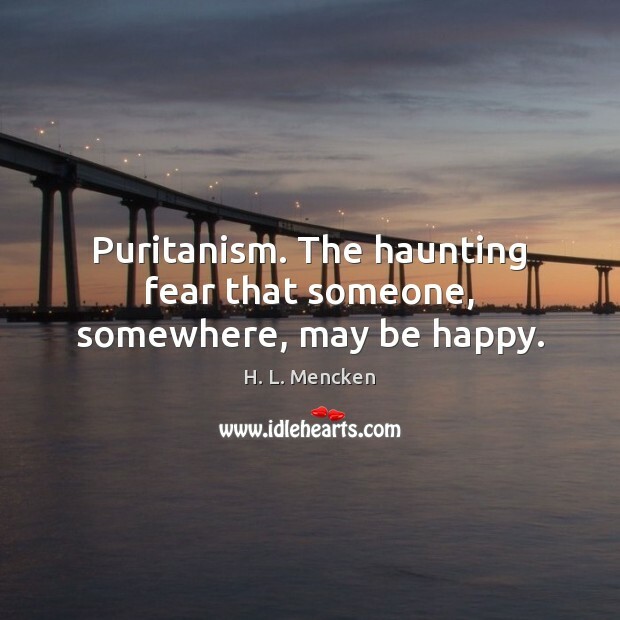 Until and unless some such grounds are produced we have literally no reason at all for believing; and in that situation the only reasonable posture must be that of either the negative atheist or the agnostic. 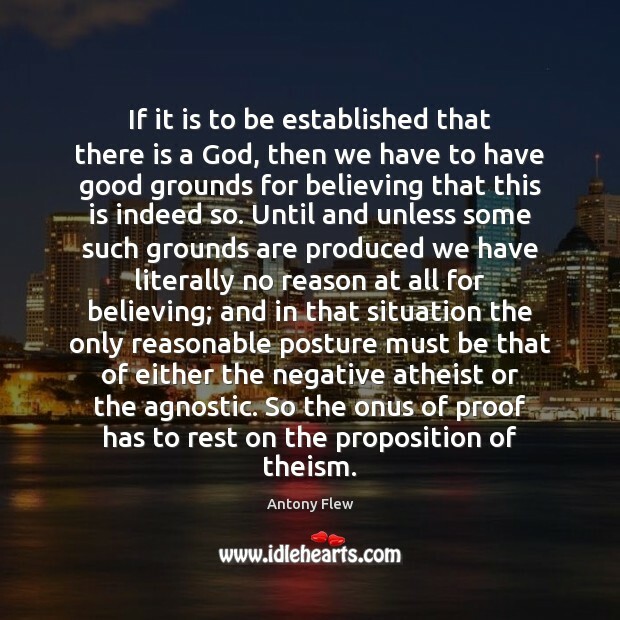 So the onus of proof has to rest on the proposition of theism.